One of the Direct Drain Services teams were recently working at a commercial trading estate in Middlesex to deal with the cleaning, clearing and maintenance of the drains on the site. Our drain engineers worked for two days over the new year to carry out essential drain maintenance work for an existing client. As part of the drain maintenance debris was cleared from the safety curb (Acco) drains, placed in waste sacks and removed from the site. Once the drain cleaning work was completed, the water flow was tested by using high pressure water jetters to make sure the flow was adequate. The drains were also visually inspected for any further issues. High pressure water jetting was used on the underground drains in the trading estate to remove any blockages that may occur due to the build-up of scale, debris, silt and grease. Our drain engineers also got a clean themselves due to the rainy weather! If you own or manage a commercial trading estate, or any type of commercial property, you will no doubt realise the potential ramifications, damage and disruption that can be caused by blocked drains or drain related problems. Apart from the smell or flood damage blocked or damaged drains can cause it can of course have an effect on not only your business, but that of your tenants. With over 20 years experience, we offer expertise in commercial drain maintenance. We can help with all of your drainage requirements, be it cleaning, unblocking or a regular maintenance schedule, to ensure that you drains are well taken care of. 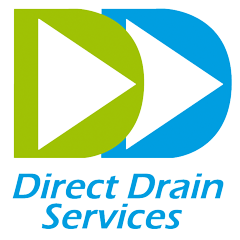 For all aspects of drain cleaning, clearing blockages, repairs and maintenance in Enfield, London and surrounding areas in Surrey, Middlesex and Berkshire, please be sure to contact Direct Drain Services.